Fun, Fun, Fun & a Bonanza of Food Trucks! 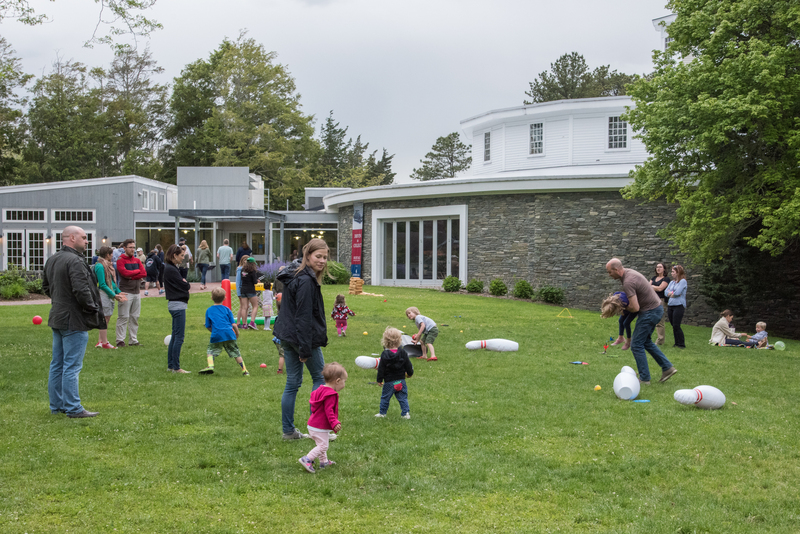 Family Fun at Heritage. Photo courtesy of Heritage Museums & Gardens. If the Heritage event has given you the food truck bug, we’ve found some other great, local food trucks where you can get your fix throughout the summer. The school bus that every kid dreamed of! 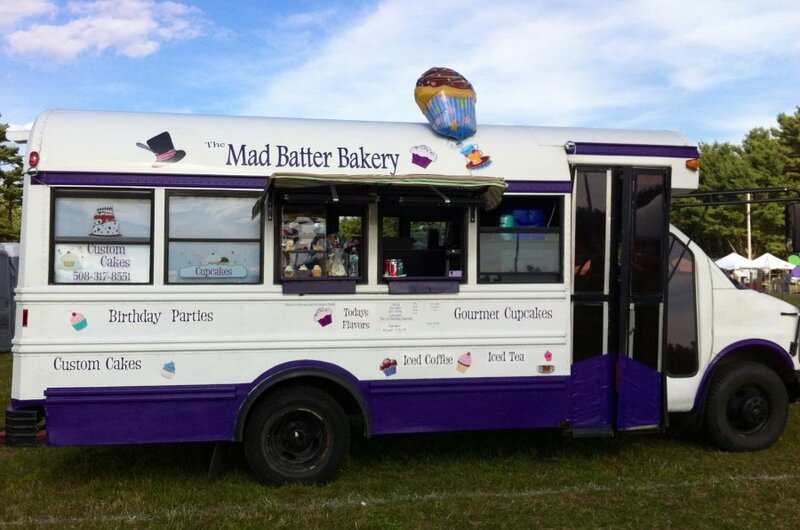 This bakery on wheels sells gourmet cupcakes in all your favorite flavors and then some. Beside the more predictable chocolate and vanilla, Mad Batter isn’t afraid of mixing things up so they also serve flavors like lemonade or Guinness. They can be found on Facebook and often they are in Onset on Wednesday nights at the Summer of Love concert series. Find Flip N Roll driving through the streets of Fall River. A brand new food truck opened just this past spring, Flip N Roll serves delicious American and Portuguese food. Find them on Facebook, Twitter, and Instagram for updates on their location. Also in Fall River, Mad House Grill serves fresh American classics with a Portuguese influence. Keep an eye out for the hot pink truck as it drives through the streets. Find them on Facebook or on their website for updates on their location. If your favorite part of Fenway is the food, then Fenway Sausage Works is the food truck for you, providing the ballpark food experience right here in New Bedford. At Fenway Sausage Works, you can order everything from linguica dogs to classic ballpark hot dogs, sausages, nachos and more. On hot days, they even offer shaved ice. Check out their Twitter to see where they’ll be located next. Chicken, chicken, and chicken! 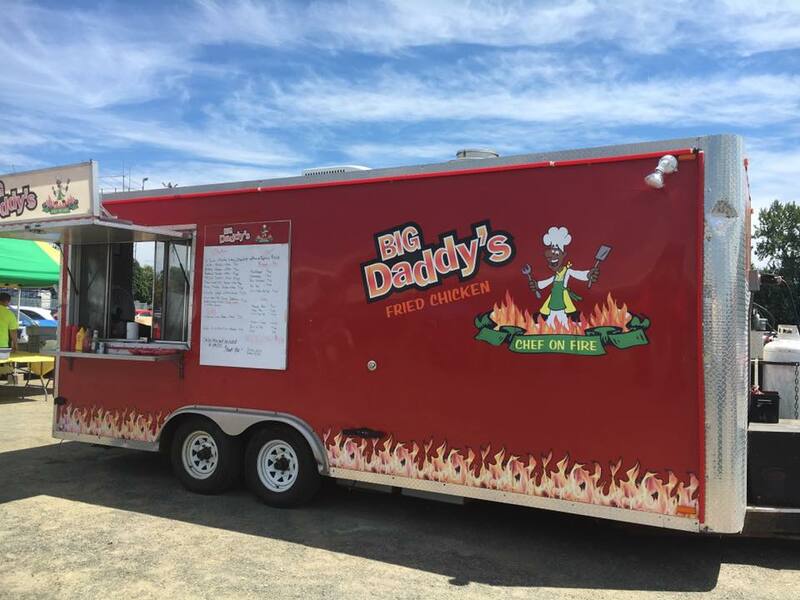 Located in Wareham, Big Daddy’s has all the fried chicken that you could ask for. Its specialty are chicken tenders in a variety of different sauces (anything from Teriyaki to Extra Hot Buffalo), but it also serves up delicious wings, BBQ, ribs, burgers, dogs and more. Check them out on Facebook to see where they’ll be next! Did we miss your favorite food truck? Leave a comment below to let us know about it! 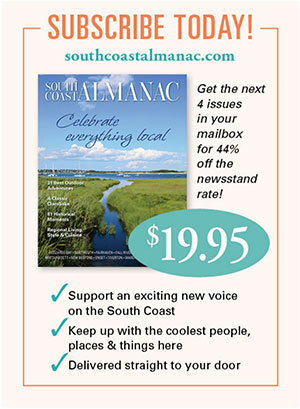 Want to keep up with other great things happening locally, sign up for occasional updates here. The Ox Cart food truck is run by the Oxford Creamery in Mattapoisett. Great food and the best lobster rolls around. Excellent addition!! We just had amazing just made waffle cones at a SEMAP event from the Ox Cart. See here to see where you can find them next: http://oxfordcreamery.com/the-oxcart/ Thanks Pam! !